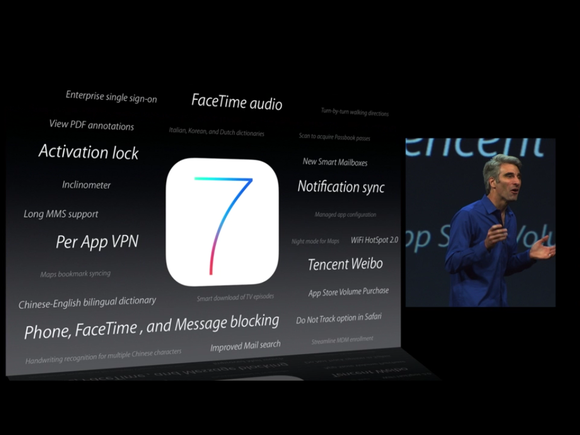 The big splash at Apple's Worldwide Developers Conference this week was iOS 7, the next-generation mobile OS that will ship this fall. The other new operating system announced at WWDC—OS X Mavericks—made significantly fewer waves (despite its being named after one of the biggest surfing meccas in California). But you can’t judge the size or significance of an update solely by the number of features that were previewed. One reason we got fewer details about the Mac operating system than about its iPhone counterpart is the audience: iOS has attracted thousands of young developers who don't program for OS X, and many of them are at WWDC. As such, the iOS 7 presentation was all about pomp and flash: a new look and new physics, along with several under-the-hood updates that aren’t yet fully baked. (Notice, for instance, that we never saw a live demonstration of the new Siri features—only pre-recorded slides.) By contrast, Mavericks’s debut was all about its underlying power, with only a small nod to design improvements in a solitary app. But for iOS developers, design and physics changes are what they need to focus on if their apps are going to be ready when the operating system ships in the fall. That those things also catch the public’s eye is a pleasant side effect, but developers are WWDC’s first and foremost concern. Likewise, while the under-the-hood OS X Mavericks features may not be visually striking, they’re important tools for our developer community to learn how to use. Mavericks may not seem as flashy to the public, but then again, neither was OS X Mountain Lion in February 2012. Then, we got a quick preview to introduce the next version of OS X, but no major drill-down for its features. Sure, we knew iChat would become Messages and Reminders would get a few more features, but we didn’t really hear about Mountain Lion’s unifying vision. Same with Mavericks this past Monday. In the iBooks app, notes mode sees a new title bar with different colorations than OS X's traditional aluminum bar. If you watched Apple’s keynote and browsed through the OS X website, OS X 10.9 seems far less visually polished than its younger sibling. We saw only one flagship OS X app that adapts to Jony Ive’s skeuomorphic-less future: Calendar. Other apps, like Safari, have flattened button styling in its new Reading List and Shared Links areas, but still retain bubbly gradients for the top bar. New apps Maps and iBooks (brought over from iOS) contain more of Ive's new look; iBooks even has a title bar that eschews the traditional OS X aluminum gradient for a lighter, flatter version. But that title bar isn't app-wide—go into the iBookstore, and you'll return to the aluminum siding of old. Dig into Apple’s website a bit, and you can find hints of app redesigns not shown at Monday’s keynote. A small shot of Contacts in the Multiple Displays section shows a book-less app with no pages and ribbons to be found. And dark linen seems to have been universally erased from this timeline, with a simple grey background to replace it. In the left corner, you can see a potential Contacts redesign, with the same lighter title bar as iBooks's note view. But if the Dock’s icon design in the keynote is anything to go by, this preview is still living with green felt in Game Center, day-planner leather in Reminders, and note paper in Notes. We don’t know whether they’ll see any of the features and design found in iOS 7. And we’ve heard nothing about any Mail changes, aside from a quick demonstration of OS X’s smoother scrolling. Also, as Macworld’s resident slide over-analyst, I find it odd that we didn’t see one of those feature-collection slides Apple loves so much (you know, like this one) for OS X. In fact, the only slide that even remotely resembled it was a list of all the features Safari had implemented over the years. There are people who would look at this information (or lack thereof) and chant the oft-familiar “Apple is doomed,” or “See! Apple doesn’t care about the Mac.” But I don’t see it like that at all. If we haven’t heard about app improvements, and if OS X’s design doesn’t even seem close to feature-complete, that doesn’t mean the Mac is doomed. It means that Apple showed off what it thought developers needed to see, and there’s far more cooking to do behind Cupertino walls before OS X’s release. I doubt that we’ll see quite as large an overhaul in OS X as we have in iOS. But I can’t imagine Cupertino shipping an OS with mixed-up styling. Can you really see Ive saying to his team, “It’s okay, guys. I think our users can live with a little green felt”? The vaguery of fall: Which OS will we see first? In an interesting move, Apple’s decided to release both of its major operating systems in the fall, breaking with the pattern of the past three years. 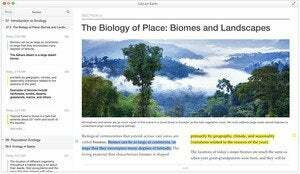 Since Snow Leopard, OS X has typically been released in the late summer months; bumping it back to the fall further suggests that there’s still a significant amount of work to be done on the Mac OS. Given that iOS 7 is also scheduled for the fall, however, it presents an interesting question for Apple: This year, which OS goes first? There’s murky precedent in Apple’s history: Though Snow Leopard was released in August 2009 after the iPhone OS 3.0 software’s June debut, Lion and Mountain Lion both launched in July before iOS 5 and 6 in the fall. But there are other factors at work, too. Software doesn’t exist in a vacuum: It needs hardware to flourish. Given Apple’s history, it’s likely we’ll see a new iPhone and iPad in the fall; and since the company wants to take advantage of the holiday season, expect to see iOS devices earlier, rather than later—perhaps even in their same September/October release slots as last year. 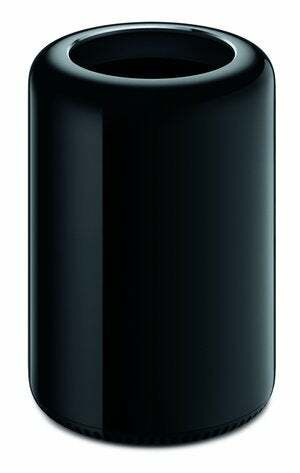 Might the Mac Pro be a good way to unveil OS X Mavericks to the public properly? Of course, there’s one other piece of hardware (that we know about) coming out “later this year,” and that’s the Mac Pro. Given OS X Mavericks’s Pro-friendly speed and memory optimizations, we’ll probably see the next version of OS X ship with this system—with a public release shortly before the Pro appears. I might even go out on a limb and speculate that we’ll see a small Apple event in the fall to formally show off OS X Mavericks and do so on one of the new Mac Pros. But I don’t see that happening until after the appearance of iOS 7 and the new iPhone. I could be wrong, of course. But it’s clear that there’s still a lot of polishing to be done on OS X. To get there, Ive and his team first have to finish clarifying the design language taking Apple forward, and that means finishing up iOS 7 first. So don’t discount OS X Mavericks just because it’s not in the forefront right now. After all, even the biggest waves start as small ripples.